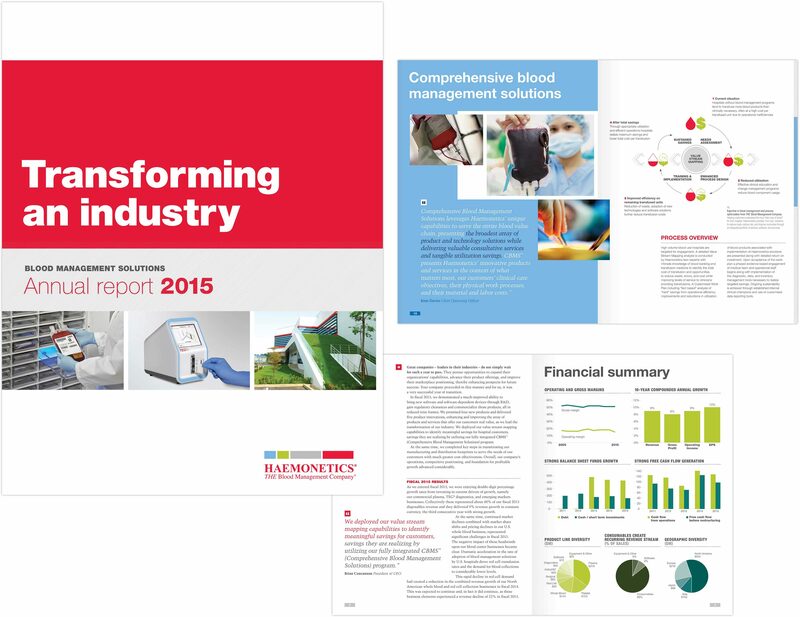 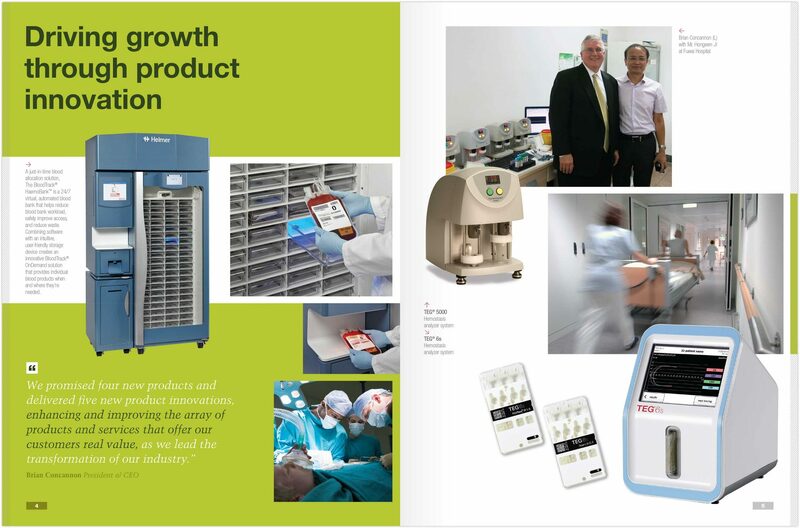 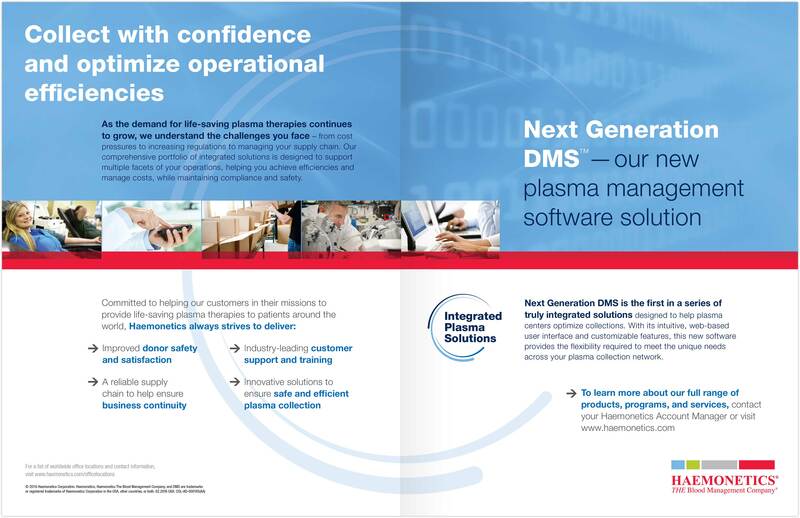 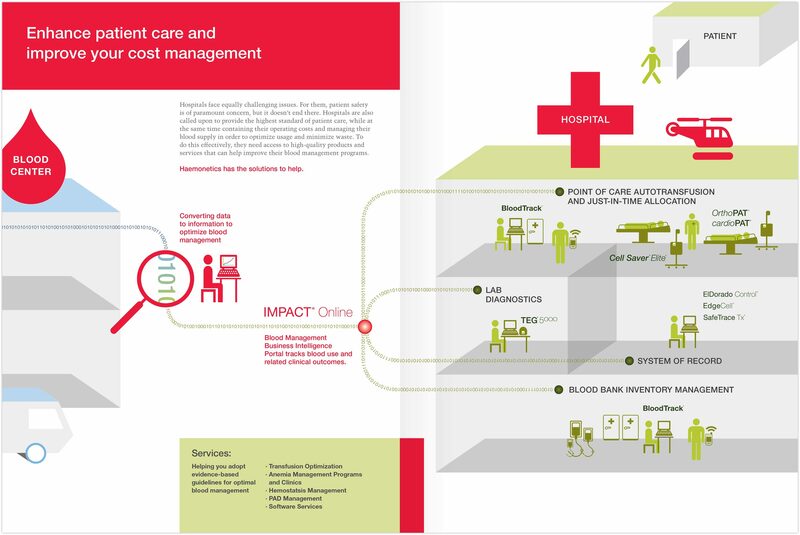 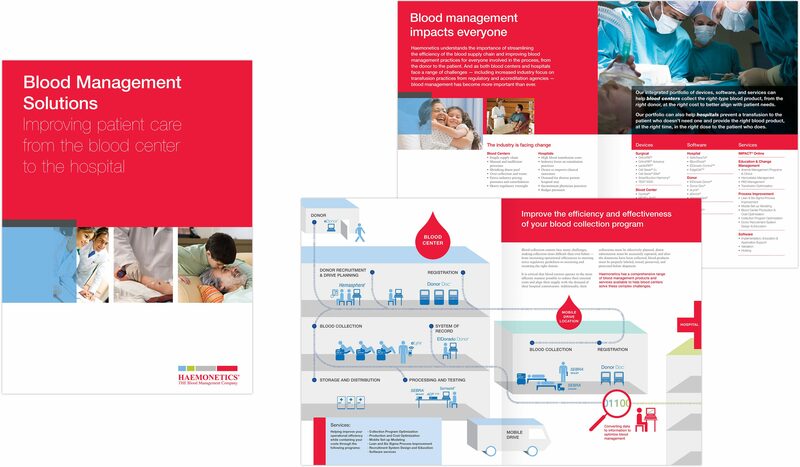 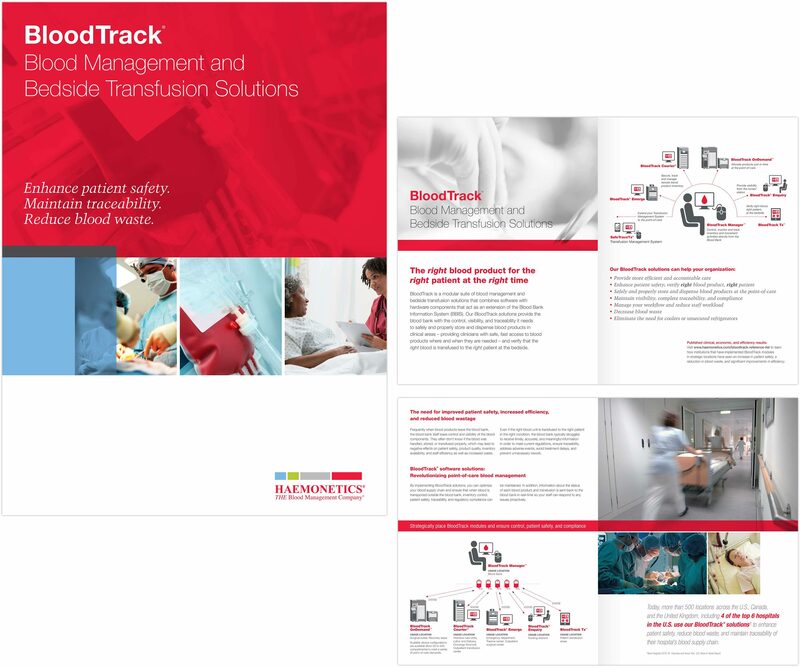 Haemonetics has grown rapidly: from a niche device manufacturer to a leader in blood management solutions, offering end-to-end consulting, hardware, software, and implementation services for the plasma, whole blood, and hospital industries. 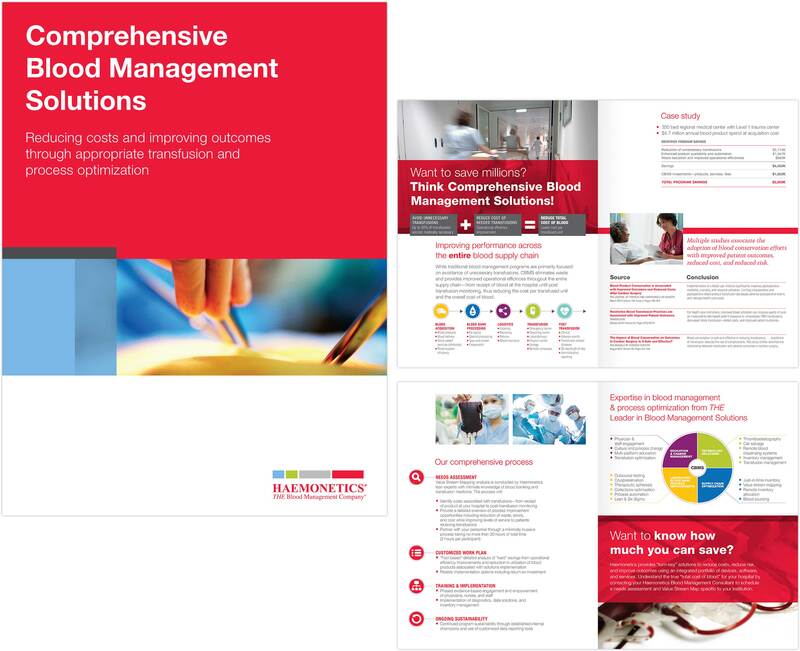 We’ve collaborated to define and implement a brand strategy and visual system that integrates its many acquisitions, facilitates solutions selling, and helps the organization realize its strategic vision. 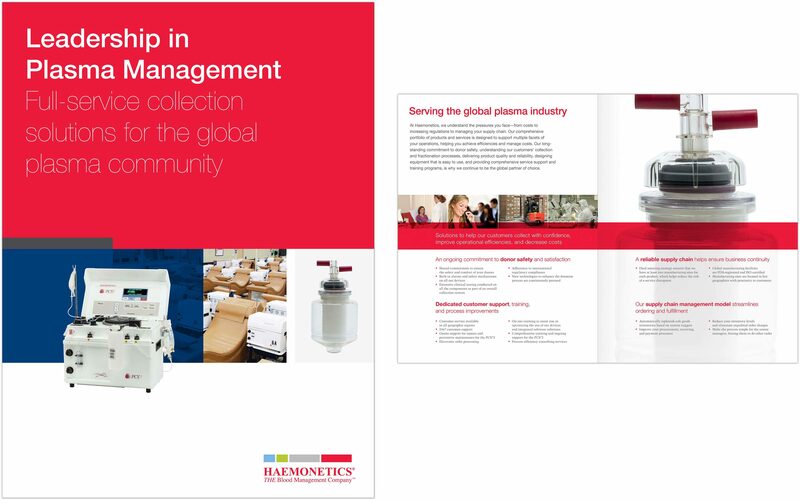 Through the whole-hearted embrace of a unified approach to visual and naming conventions, Haemonetics’ complex product lines connect visually and verbally, helping the sales team start conversations on “square two.” We’ve collaborated on six annual reports, the design of trade show booths, story-telling infographics, icon and product identification systems, and a full spectrum of print collateral.